Monkey in the Middle Pizza Co. 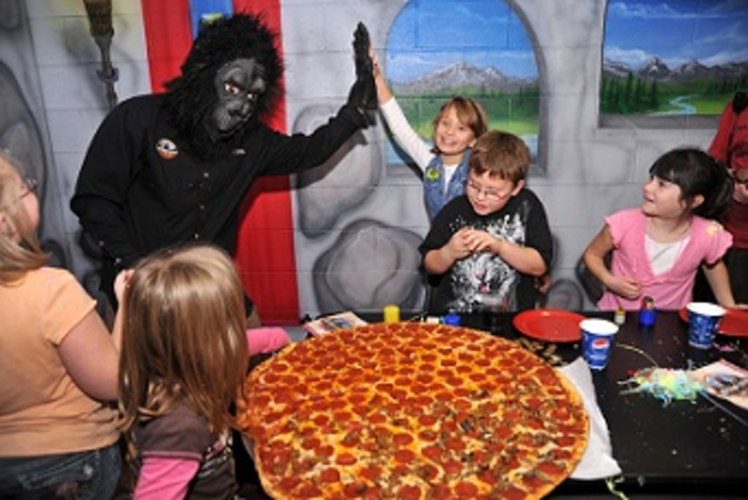 This upbeat and fun pizza joint is located inside Action City amidst video games and go-karts; it features made-from-scratch pizzas with a hint of garlic in the crust. 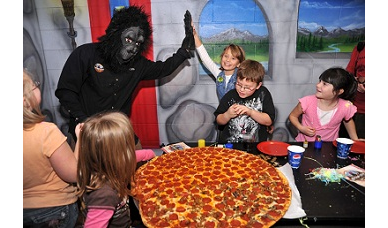 This pizza place also features the Gorilla Pizza, a 30 inch pizza which can feed 10-15 people. Food and play packages also available. Free Wireless Internet, Smoke Free, Table Seating, Private Party Rooms available.